A complete compilation dedicated to a single instrument? Would that work? 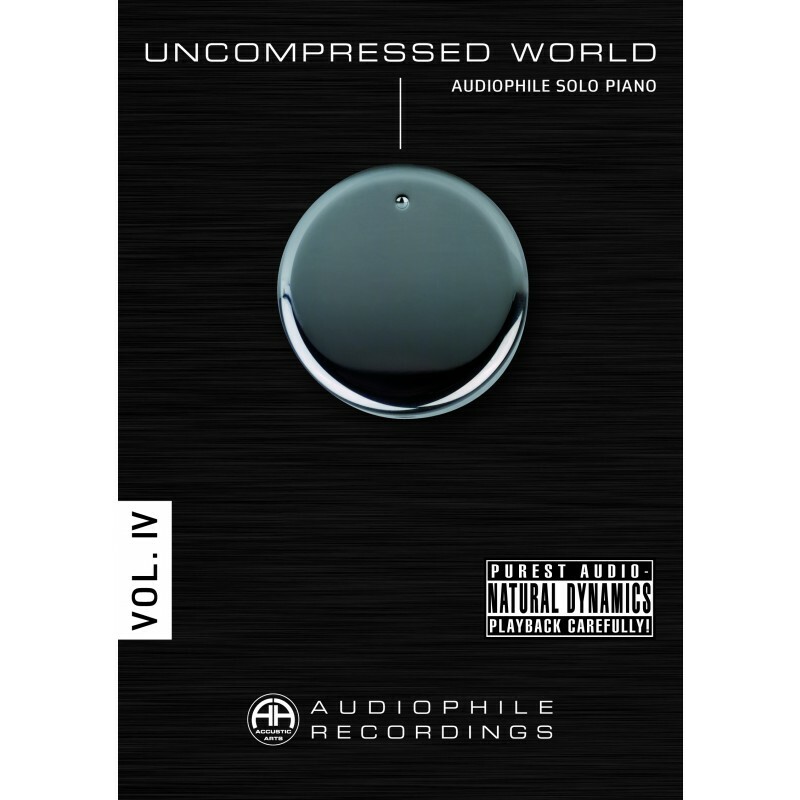 These were our initial thoughts at the beginning of 2012 as we started work on “Uncompressed World Vol. IV”. space of a small recording studio. Where are the microphones positioned during the recording? Classical recordings in particular place the microphones a large distance away from the instrument. The resulting acoustic pattern is indirect, with a great deal of space present. Others place the microphones very close to the source where the sound is generated. The result is an intimate sound which includes all the ambient noise. The hammer and pedal are clearly audible. And you might find it hard to believe, but canned piano music has found its way into our compilation. Sampled sound, played on a midi keyboard, and edited on a laptop. Our recommendation: before reading the booklet, first of all listen carefully to the CD, track by track. Try to find out which track was not played with a “real” piano. We wish you lots of fun during the search and even more fun with the audio journey through the Uncompressed World of the audiophile solo piano. 05. Mathias Claus - Gruss An F.